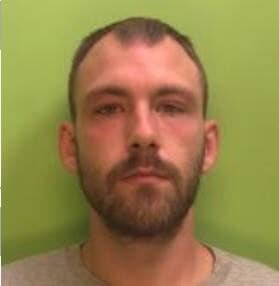 A 29-year-old man who ‘severely’ attacked a young boy has been sentenced to nine years behind bars. Michael Meurs, of Salmon Close in Nottingham, appeared at Nottingham Crown Court Friday, April 12, having pleaded guilty to causing grievous bodily harm with intent on December 5, 2018. Officers said the young boy was rushed to the Queen’s Medical Centre by an ambulance after an emergency call reporting that he had become unwell with a headache, vomiting and was unresponsive. Staff examined him and immediately became suspicious of the injuries he had sustained which also included more than 30 bruises to the rest of his body and a bite mark. Meurs was arrested a short time later but according to police, tried to claim he had no idea how the boy had suffered his injuries, saying that the boy had fallen over and banged his head. However, Meurs was charged as a result of the medical evidence, witness accounts and phone work which highlighted his bad temper.